Bring your entire family to all remaining Symphony Sundays concerts for only $85 with the season Family Pack! All other specialty ticket packs are no longer available. To purchase individual concert tickets visit the Pabst Theater website. A season Family Pack admits an entire family to the three remaining Symphony Sundays concerts for just $85. All four concerts for two people for $72 per couple. Available through September 30, 2018. All four concerts for one person for $50 per person. Available through September 30, 2018. All four concerts for one person for $28 per person. Available through September 30, 2018. Admission to each Symphony Sundays concert is $14 for adults and $8 for children, students, and seniors. Individual tickets may be purchased by calling the Pabst Theater Box Office at 414-286-3205, ordering online from the Pabst Theater website, or visiting the Pabst Theater Box Office weekdays between noon and 6:30pm or during the hour before any Symphony Sundays concert. 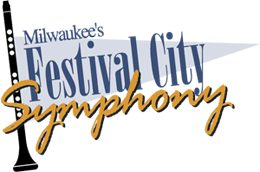 For information about large group tickets, call Festival City Symphony at 262-853-6085 or email fcsmilwaukee@gmail.com. *Pajama Jamborees are FREE.